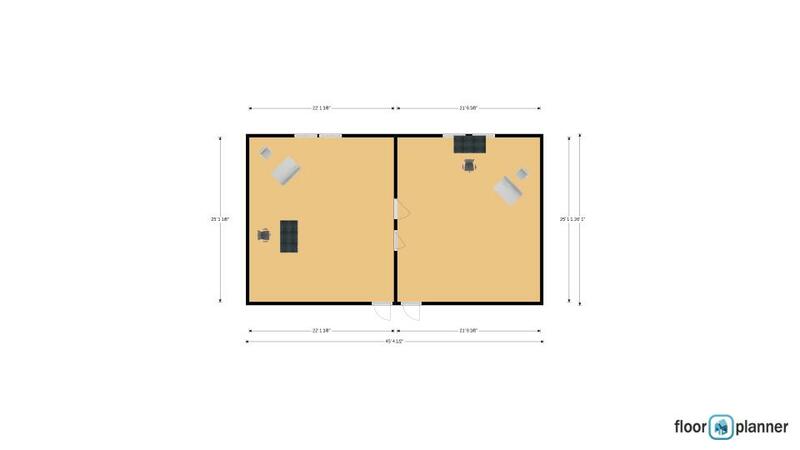 Attached are floor plans on two possible home offices. The two doors in the middle are closets per room. Door entrance at bottom of image, windows at top of image. 1. Should we or should we not face windows? 2. Is it ok to have chair and table at an angle in the room (see white furniture in picture)? I'm KUA #9 supposed to tap into E, SE, S, N directions.